UPDATED: Sat., March 31, 2018, 9:19 p.m.
NEW YORK – Six months after bursting into the spotlight, the #MeToo movement has toppled scores of men from prominent positions and fueled a national conversation about workplace sexual harassment. There is also ample evidence that the movement has some staying power that will make it a force six months from now and beyond as lawmakers across the nation enact an array of anti-harassment legislation, corporate America roots out bad behavior in the workplace and more women feel emboldened to speak out. And the movement has the potential to guide the conversation surrounding the midterm elections, as evidenced by the record number of women getting into politics in 2018. The movement took shape in October 2017, when reports in the New York Times and The New Yorker gave voice to numerous women accusing Hollywood mogul Harvey Weinstein of sexual misconduct. Soon afterward, the #MeToo hashtag went viral, becoming worldwide shorthand for speaking out about sexual harassment. Along with the steady stream of harassment cases involving other powerful men, there has been extensive activity in statehouses across the country. More than a dozen legislatures are considering bills that address sexual harassment in workplaces statewide; an even larger number are addressing harassment affecting officeholders, staff and lobbyists at the statehouses. Those in-house efforts often have been fueled by scandal: At least two-dozen legislators have resigned or been ousted over the past year due to sexual misconduct allegations. #MeToo activists believe the legislatures’ collective efforts will produce lasting change. They also believe #MeToo has provided new awareness and resources for women experiencing harassment in the workplace. The Time’s Up Legal Defense Fund was launched in January by the National Women’s Law Center with the aim of providing attorneys for victimized women, notably those in low-wage jobs who couldn’t afford a lawyer on their own. Fatima Goss Graves, the law center’s CEO, says more than 500 attorneys have signed up, and complaints have been fielded from more than 2,300 people. The fund underwriting the program totals $21 million, provided by about 20,000 donors. While many of those seeking help are hotel and restaurant workers, complaints have arrived from about 60 different employment sectors, including retail, farming, government, construction and the military. Goss Graves hopes the initiative proves long-lasting. Others are skeptical about the movement bringing about real change. And despite the widespread action at the state level, anti-harassment efforts have suffered some setbacks. In Florida, the House and Senate approved different measures to address the problem, and ended the session without agreement on a bill. States like Washington and California have taken a more aggressive stance. In California, at least 20 anti-harassment bills have been filed. One proposes equipping hotel housekeepers with panic buttons to use in cases of sexual assault; similar measures already are in place in some cities. Washington lawmakers passed a package of anti-harassment bills. In Congress, the focus has been on internal problems. The House approved legislation to speed the slow-moving process for harassment complaints, require more disclosure of settlements, and force lawmakers to personally pay any penalties they’re required to make. The Senate’s 22 female members are pressuring their chamber’s leaders to take comparable steps. Among employers, Microsoft has endorsed a move to eliminate private arbitration proceedings in cases of alleged sexual harassment. Efforts are underway in several cities to train restaurant owners to address harassment. And numerous industry and professional groups, ranging from Actors’ Equity Association to the Nevada Gaming Control Board, have launched initiatives to strengthen anti-harassment policies. Some activists remain wary of the corporate response and wonder if some changes – such as revised sexual harassment training programs – will be halfhearted. Zoe Chance, a marketing professor at Yale School of Management, believes #MeToo will spark lasting change. One reason for her optimism: a sense that many men are supportive. Debra Katz, a Washington, D.C., attorney who specializes in sexual harassment law, says #MeToo has had tangible impact at her firm. Another change, she says, is that companies are firing top executives implicated in harassment, rather than keeping them on the job while paying out confidential settlements. 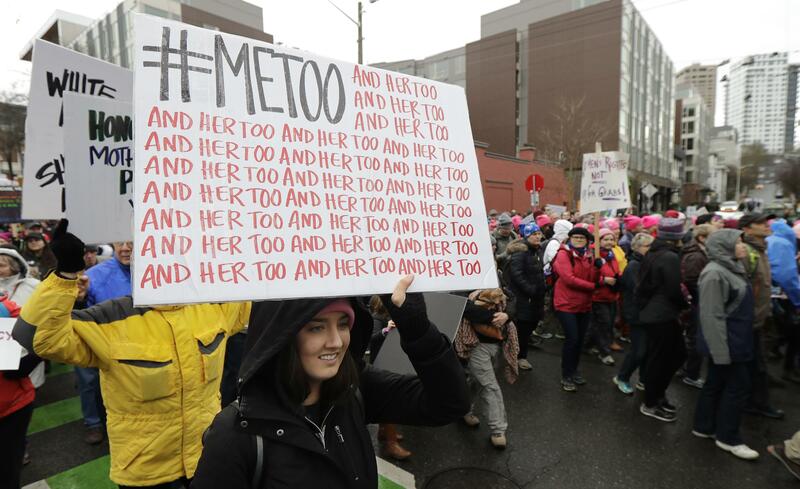 Assessing #MeToo’s long-term legacy, activists cite its role in raising awareness of other workplace problems, beyond harassment, that women face. Kristin Rowe-Finkbeiner of MomsRising noted two recent developments: Washington state passing a bill promoting gender-equal pay and Starbucks announcing it had attained 100 percent gender pay equity for its U.S. employees. Starbucks cited data indicating women in retail jobs are paid 70 cents on the dollar compared to men. Published: March 31, 2018, 11:23 a.m. Updated: March 31, 2018, 9:19 p.m.